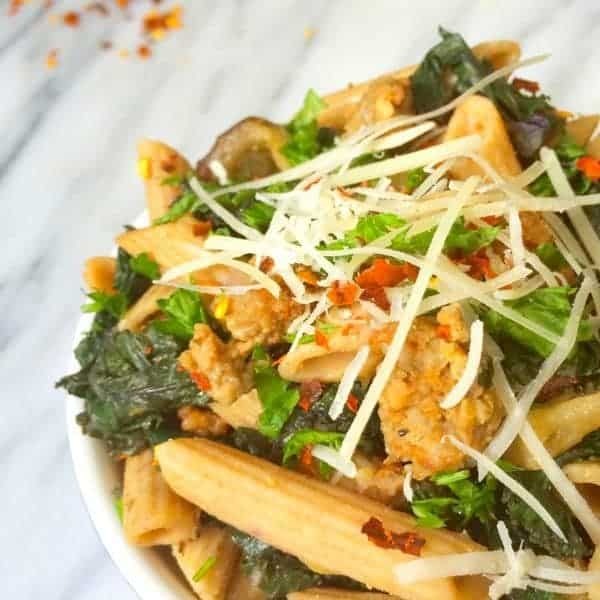 The ultimate 20-minute weeknight dinner, this hearty whole grain pasta recipe is packed with sweet Italian sausage, kale and white bean. Little ones can be picky eaters – one day they love a food, the next day they hate it. Guess what food my kids always seem to love? PASTA! I’m sure they’re not alone. Heck – who doesn’t love pasta? 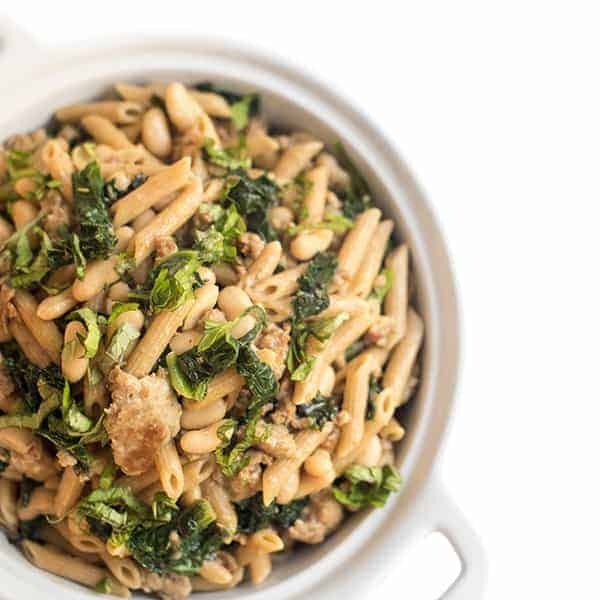 While I’ve been making sausage and kale pasta for decades, it’s only been in recent years that I started adding white beans. 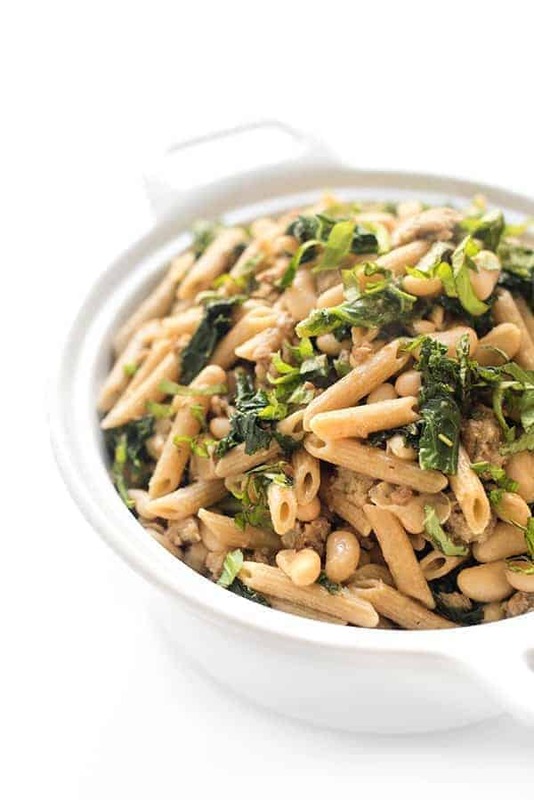 Inspired by my Italian brother in law, white beans add a delicious creamy texture to the dish along with a hefty boost of protein and fiber. Not only are beans a great way to stretch your food budget but they are kid-friendly (at least in my house!) and a huge source of other vitamins and nutrients. We usually use cannellini beans but any white bean would work great. 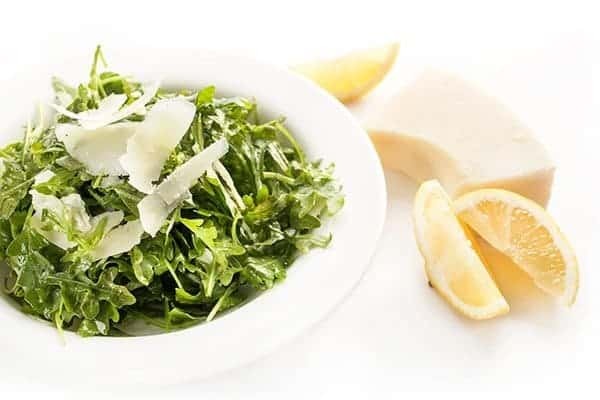 Serve with a simple arugula salad and dinner is done in about 20 minutes. 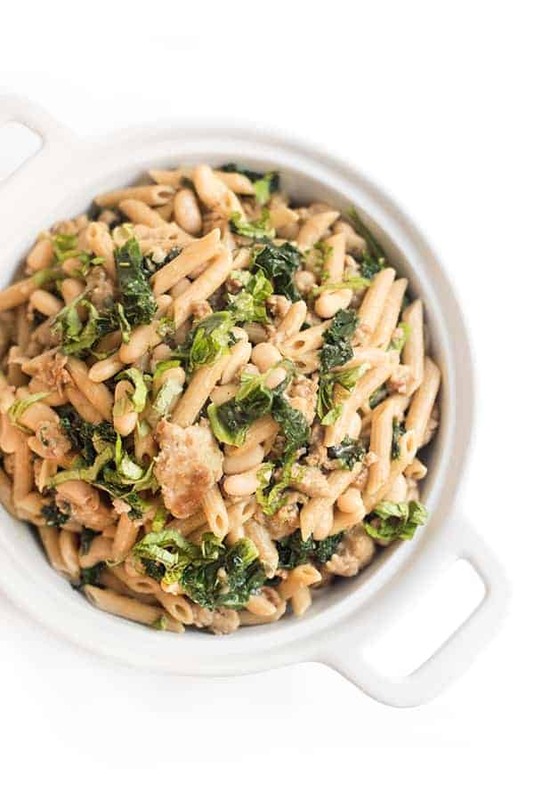 The ultimate weeknight dinner, this hearty whole grain pasta recipe is packed with sweet Italian sausage, kale and white bean. Cook pasta according to package instructions, reserving 1 cup of the starching cooking water. While the pasta is cooking, head a deep skillet over medium-high heat and spray with cooking spray. Remove sausage from casings and add to the pan. Use a wooden spoon to break the sausage down into bite-sized pieces and cook until browned, about 8-10 minutes. Add garlic to the sausage and heat for 30 seconds to release flavor. 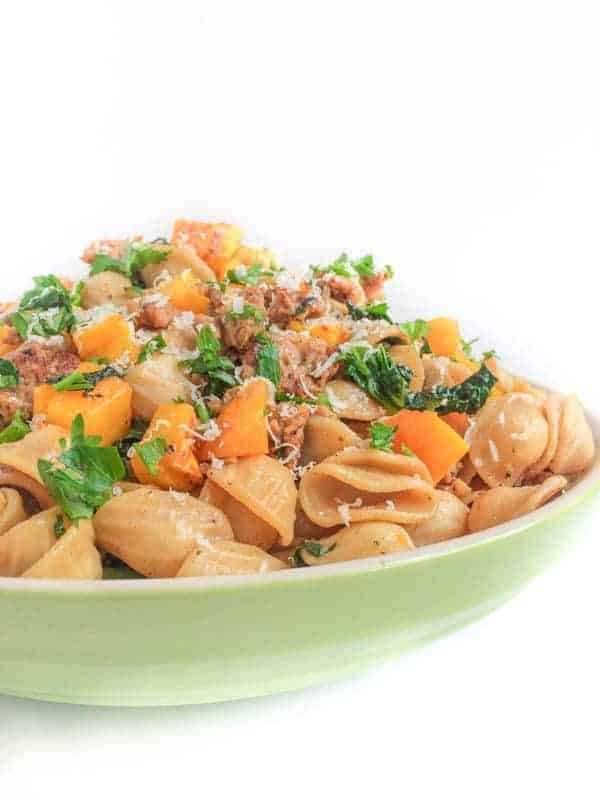 Stir in kale to the pot along with 1/2 cup of the starching cooking liquid reserved from the pasta. Cover pan with a lid to quickly wilt the kale. 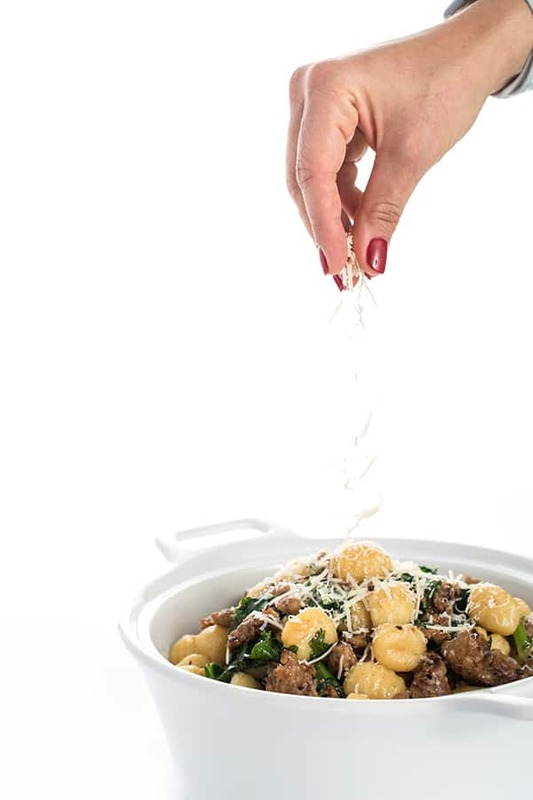 Stir in the cooked pasta, white beans, olive oil and parmesan cheese. Check for seasoning and add salt and pepper to taste. 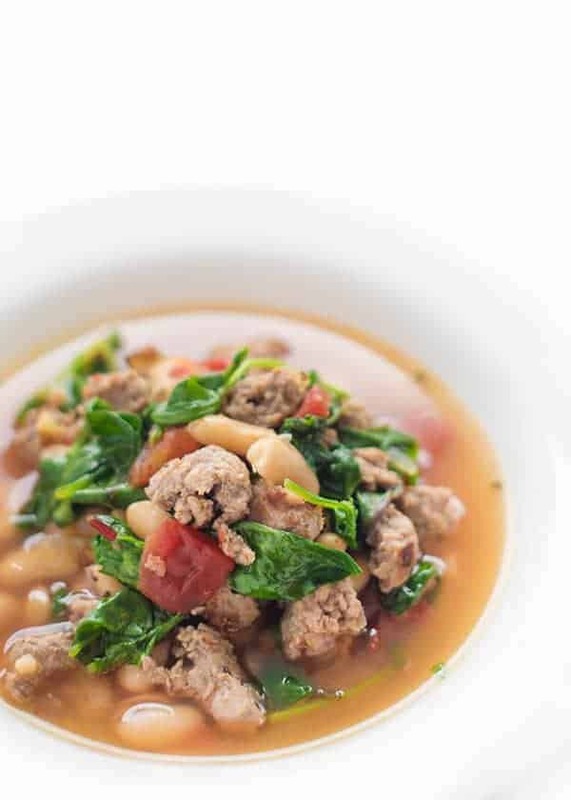 Check out my Pinterest board for more healthy and easy dinner recipes!